Adult SCN females on soybean roots. A recent report from Iowa State University says that soybean cyst nematode (SCN) reproduction was accelerated in IA this year. It is believed this was caused by the consistently warm temperatures that occurred in parts of Iowa from May through July. This pattern was present in many other Midwest states this summer as well. Once SCN are found in a field, they can’t be eliminated. It’s necessary to take an integrated approach to SCN prevention and management. Following a 20-year hiatus, The SCN Coalition was resurrected earlier this year in an effort to increase awareness about the growing threat of SCN. The SCN Coalition’s principle to ‘know your numbers’ is one that shouldn’t be overlooked. Being aware of the pressures that lay within your fields is the first step toward effective management. Soil sampling is the only way to determine this; luckily, it’s an inexpensive, simple task. Post-harvest is the best time to test your soils for SCN because you’ll get the most accurate read before fields begin to freeze. Soil sampling in the winter can be difficult, and waiting until the spring won’t leave you much time to implement an effective management plan. When collecting your regular fall soil fertility samples, it’s easy to split them into 2: use one to test for SCN and one to test soil fertility. If you haven’t already sampled your soils, you may want to consider adding it to your ‘to-do’ list this month before winter approaches. 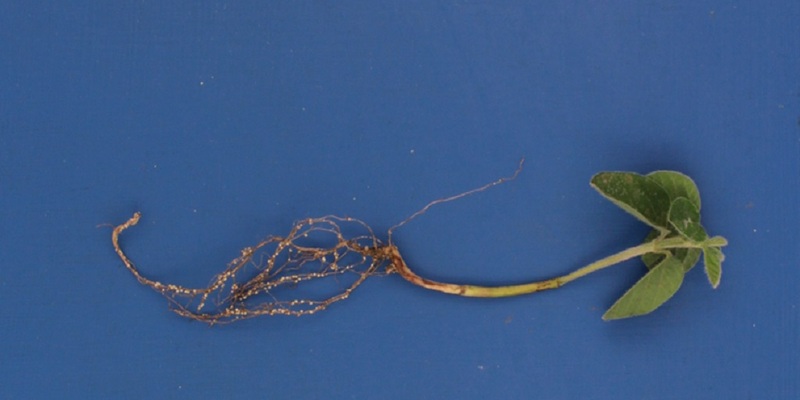 Rotating infested fields with a non-host crop will also help disrupt SCN’s lifecycle. This practice will make it difficult for SCN to reproduce and help prevent it from becoming an even bigger issue down the road. Planting SCN-resistant varieties is an important practice for managing SCN. However, it’s not a silver bullet. According to the SCN Coalition and backed by research from multiple universities, SCN is becoming resistant to the PI88788 source of resistance, which is currently used in more than 90% of SCN-resistant soybean varieties. That’s why planting SCN-resistant varieties should be considered in conjunction with other management practices. Nematicide seed treatments can help reinforce the dwindling effectiveness of SCN-resistant soybean varieties. When choosing a seed treatment, it’s important to do your research and ensure you’re choosing the most effective option for your operation. Unlike other seed treatments, Clariva® Elite Beans seed treatment provides season-long activity against SCN. It’s an easy-to-handle premix of Clariva pn nematicide and CruiserMaxx® Vibrance® seed treatment, designed to enhance the performance of SCN-resistant varieties with the PI88788 resistance source. Since SCN can have up to 6 generations per season, the extended length of control Clariva Elite Beans provides is necessary for the best possible protection. With the 2018 growing season behind you, now is the time to figure out how to improve your operation’s SCN-management plans going into 2019. Addressing your SCN issues head-on next season won’t just help you in the short term. Staying on top of SCN pressures will help protect your soybean fields from future damage, ultimately increasing your soybeans’ yield potential next season and in seasons to come.